Oil on canvas. Width 91.5 x Height 61 cm or 36 x 24 inches. Signed. Unframed. With a certificate of authenticity. 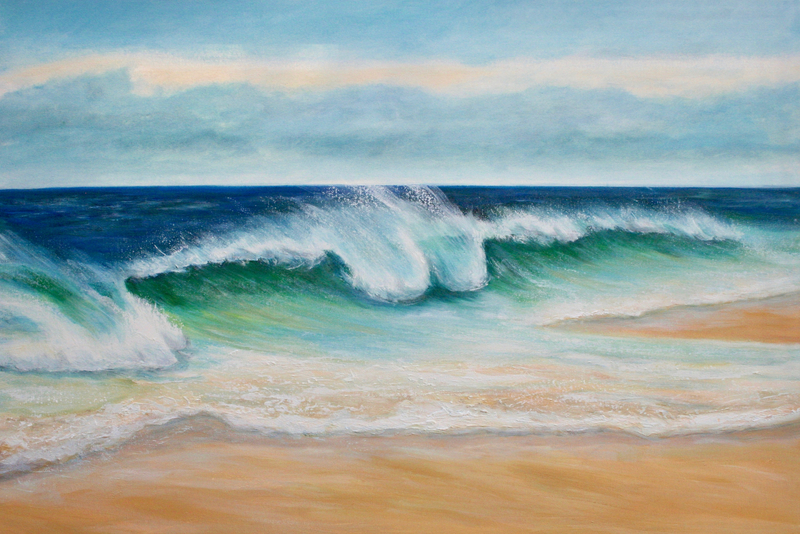 “Emerald Beach” is inspired by the coastline of south Devon. I want the viewer to feel they can walk across the sand in this painting. 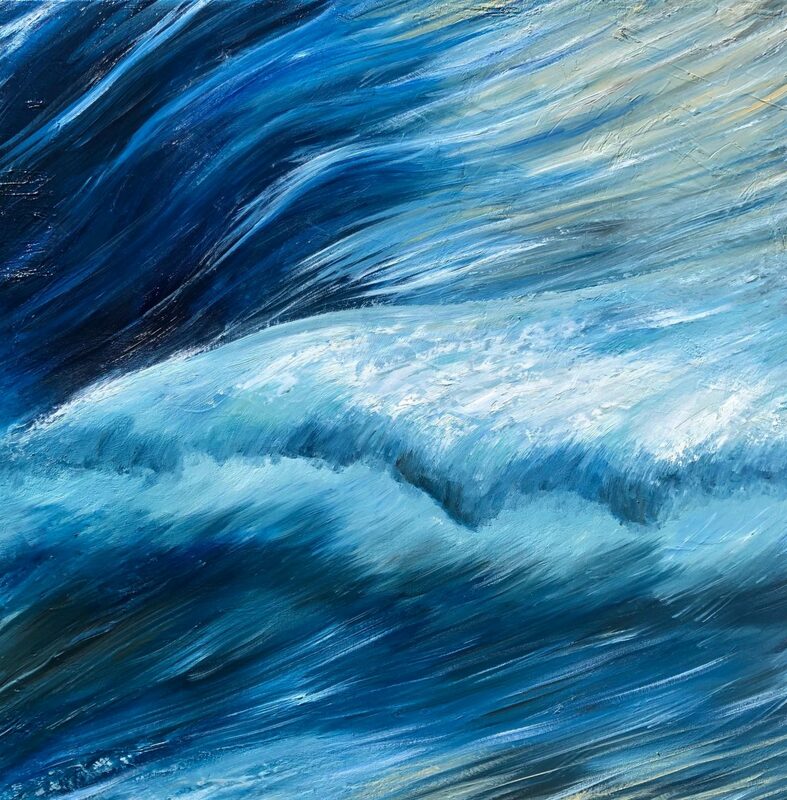 It shows a large wave cresting, lit by the sun of the waves emerald green. The time of day is key here. It is very late afternoon, the light is fading fast. 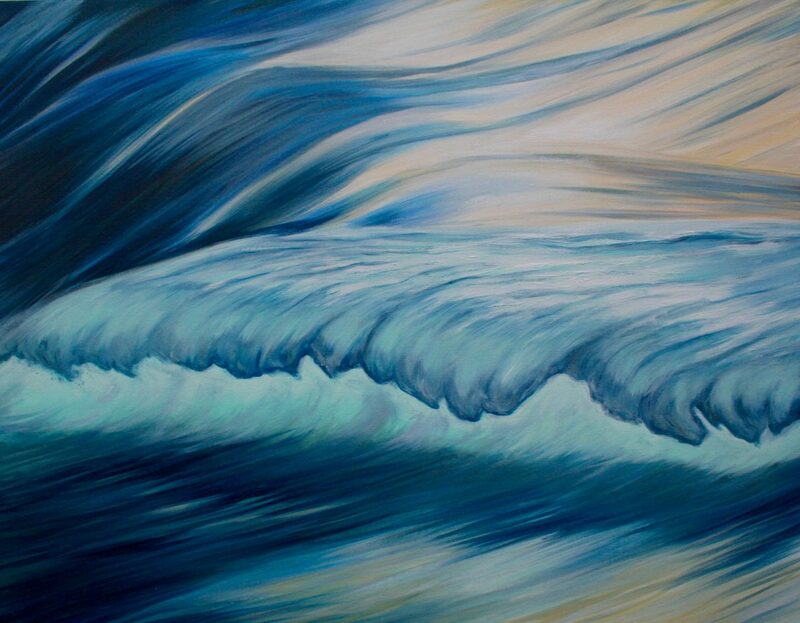 The highlights become a mixture of emeralds and blues contrasting with the deep blue of the sea. I like to work in oils because of their versatility. You can layer the paint so that it has a translucency. It is so robust a medium I can scrape the paint back or scratch into it too. 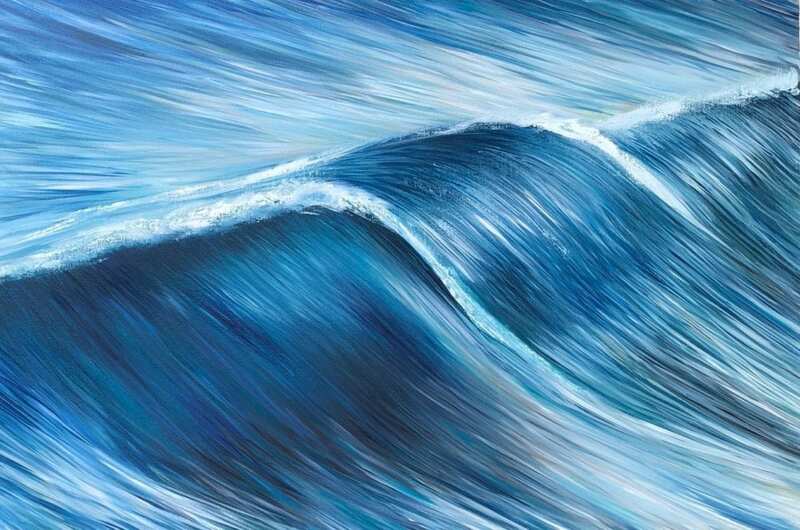 This is another in my series of wave paintings which I started 5 years ago and numbering 48.